The must-see Halloween event of 2014 is Delusion, a self-described haunted play that beautifully combines element of cinema, theater, and haunted attractions into an interactive experience like no other. 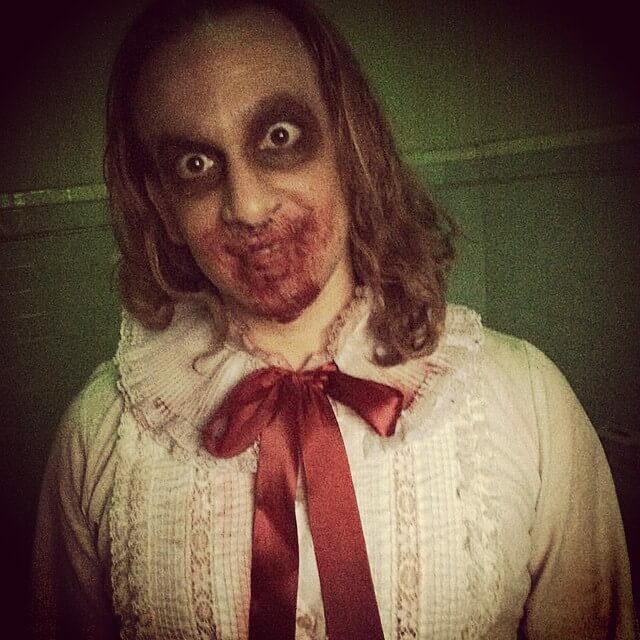 Director Jon Braver created Delusion in 2011, determined to elevate Halloween entertainment to a new art form. He quickly achieved that, bettering the format in 2012 and 2013, incorporating top tier acting, beautifully original scores, Hollywood stunt work, and intriguing stories to become this year’s event, Delusion: Lies Within, co-written with Peter Cameron. 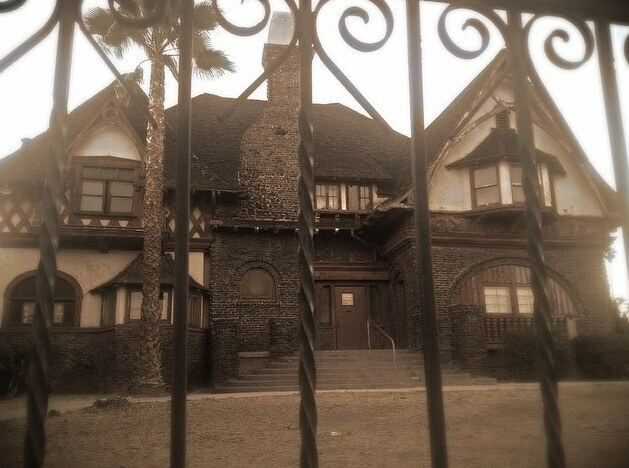 This is definitely not a haunted house. It’s a performance, much like one seen on a Broadway stage, but not stationary. The audience, in small groups, becomes part of every scene, required to interact with actors, props, and sets to move the story along. This year’s Los Angeles setting is the gorgeous Fitzgerald House, a decades-old mansion that becomes a character in the story. A waiting area outside acts as a museum of sorts for Delusion, featuring playbills, posters, and costumes from the event’s past. Guests can also buy food and drinks before the show, even enjoying them while rocking on swings. 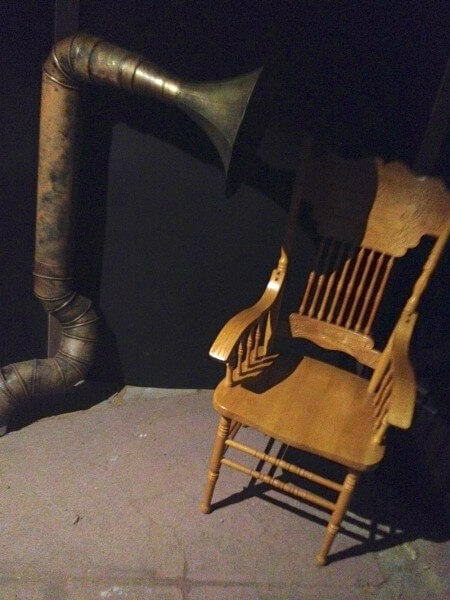 One chair sits next to a large metal gramophone type speaker, in which a faint voice can be heard – the first puzzling piece of the story that will soon unfold. 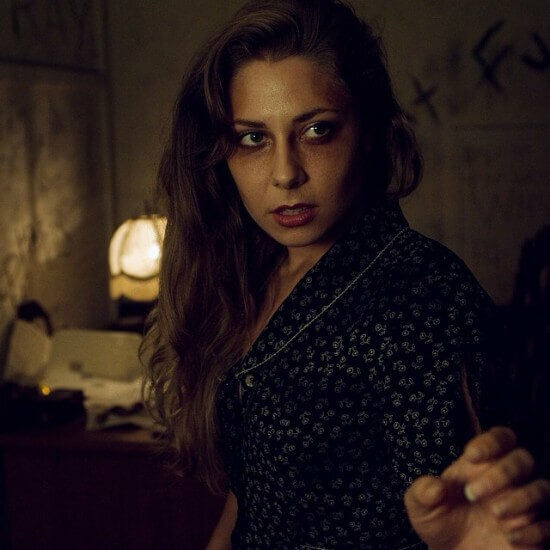 Leading off the 2014 show is Delusion veteran actress Dasha Kittredge, whose lead role in 2013’s Delusion: Masque of Mortality (seen below) put her front and center this year. Her beauty and charm help to welcome everyone into the story perfectly. This year’s story revolves around author Elena Fitzgerald. It is her manor that guests arrive to. Her fantasy novels have gripped the world, developing obsessed fans determined to find out why no more books have been released in years, following the disappearance of her daughter Mary. 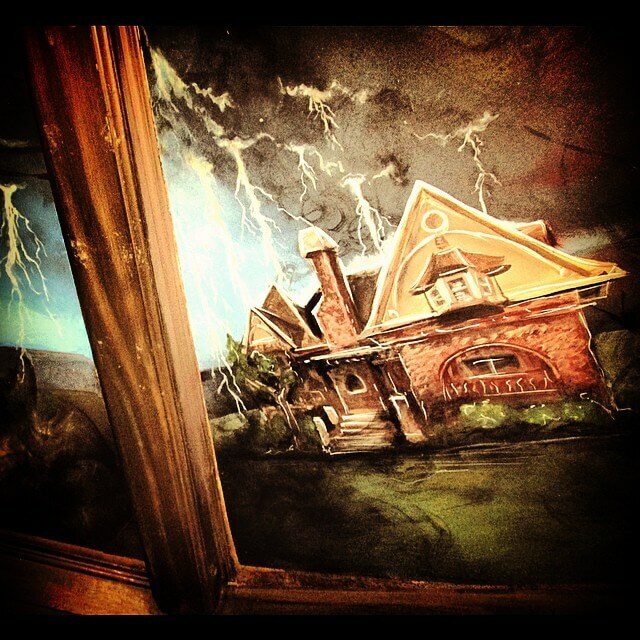 It becomes your job to break into the mansion and solve the mystery. Kittredge as the “Lockmaster” leads the charge, quietly escorting groups of 10-12 onto the grounds. She quickly asks for a “brave” volunteer to be the first to sneak inside. Naturally, I took the job. Volunteering for interactivity is important to fully appreciating Delusion. It’s enjoyable to stand back and watch from a traditional theatrical perspective, but engaging with the characters in the story makes it feel that much more real. For stepping up, I was given a satchel and asked to crawl into the mansion alone, giving me a private look at what would become the first of a series of beautiful sets. I stepped into an octagonal room with paintings across each ceiling panel depicting scenes from Elena Fitzgerald’s books. 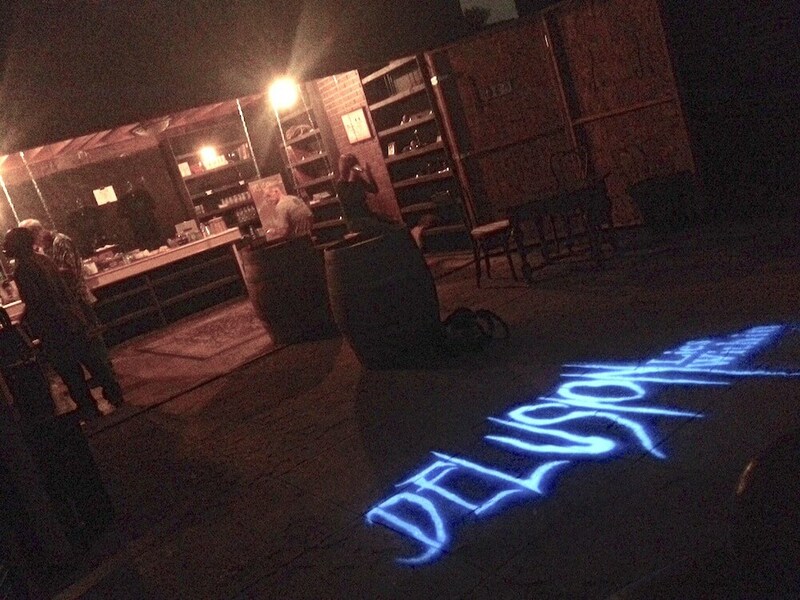 The room itself was helping to tell Delusion’s story. Every detail feels authentic, some inherent in the location but most from elaborate set dressings and props. 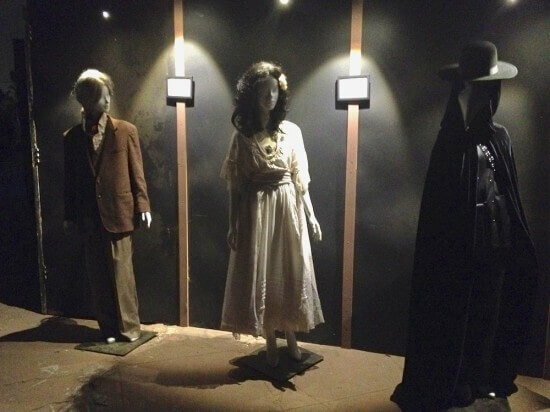 The musical score accompanies every movement and characters follow groups through the experience, maintaining a sense of familiarity and building a relationship throughout. Though I spent maybe half an hour with Kittredge across two years of attending Delusion, I feel like I know her – or at least, her characters. I feel like we experienced something together. And she’s just one of many cast members that create such a personal connection across this most intimate and unique of performance spaces. It breaks down all the walls that a traditional theater stage creates. From there, the group is handed off to another character, then another, and so on. Roaming from room to room, the story of peril, intrigue, danger, and otherworldly phenomenon plays out. There are elaborate costumes, dazzling special effects, and exciting moments that force everyone to rush between scenes or hide in dark places. Realistic characters accompany guests to encounters with unbelievable (yet completely convincing) ones, each with their own quirks. Each scene has moments that perhaps just one patron will get to experience. Sometimes the groups are split up temporarily. Sometimes spectacles are witnessed that no one can even believe just happened. But in the end, it’s the acting and story that drive Delusion to become the future of live entertainment, Halloween or otherwise. It is truly unlike any other experience around – a best in show. If Delusion has a downside, it’s that it has to end. Even with the experience lasting 40-50 minutes, no ending will ever suffice because no one wants to leave the pure fantasy that Delusion creates, removing all responsibilities and allowing guests to completely immerse themselves into another world for a while. It’s incredibly satisfying. Do not hesitate. Buy a ticket immediately and escape from real life for an evening to let Delusion transport you into a world of beautiful horror.